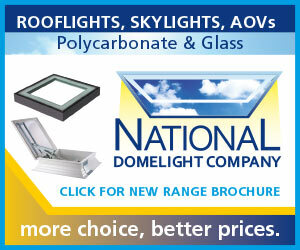 The National Domelight Company are specialist suppliers of rooflights, skylights, domelights, rooflanterns and smoke vents, to roofing contractors and builders, to developers of commercial and residential property, and to private homeowners. Our family-run rooflight company has been successfully trading for over 30 years and our UK-based sales team has more than 100 years of rooflight and skylight knowledge between them. You can trust us to know what we are talking about and to give you the best advice and guidance to find the right rooflight or skylight for you. We are the UK’s leading supplier of rooflights and skylights and as a result we can supply you with any size, shape and material of rooflight or skylight, and with any combination of upstands and accessories, that you will ever need – and all at the best trade prices. 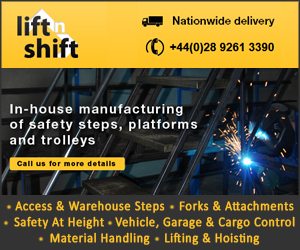 We deliver a first class service and our large warehouse and rooflight stocks mean that you won’t have to wait long for your order. 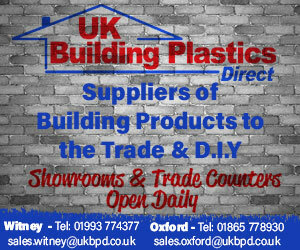 We can deliver most stock rooflights or skylights, direct to site, within 72 hours. Our FREE nationwide delivery service means your rooflight or skylight will be safely delivered at your convenience – just when you need it. 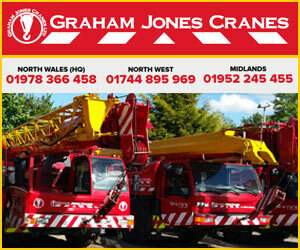 Our prices are competitive yet we still deliver industry-leading quality and service in everything we do. Guaranteed. We have been supplying the roofing industry for decades and to help you we provide useful resources at www.nationaldomes.com and CAD downloads to incorporate into your digital plans. Just call our Technical Support Team on 01276 451 555 for practical advice and support, no matter what you need. Don’t just take our word for it – Put us to the test, let us quote your next rooflight or skylight job and see just how much you could save! 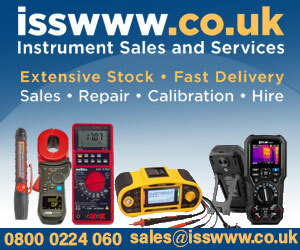 We guarantee excellent products, at sensible prices. All rooflights and skylights supplied by The National Domelight Company have been fully tested before they are added to our portfolio. 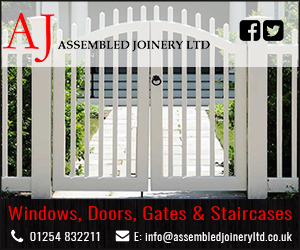 This ensures you can always rely on our industry-leading quality no matter what your requirement. Our experienced team are at your service to answer any rooflight or skylight questions and provide full support. Our large warehouse and rooflight stock guarantee you the shortest possible lead times and our nationwide rooflight delivery service means your order will be safely delivered just when it’s needed. There really is no better place to discuss and solve your rooflight or skylight issues so we hope to be of service very soon. Great help choosing from the wide range of glass and poly rooflights and skylights available, good price and delivered fast as well. First class service. I was very impressed with the variation of rooflights NDC had available. I look forward to working with them on my next job that requires some skylights. National Domelight Company. 5 out of 5 based on 2 ratings. To enhance the existing living space in a four bedroom detached property in Surrey, homeowner Mr. Newman decided to convert the rear of the property’s double length garage into a large kitchen and family room, to create a desirable open-plan living area. Mr. Newman purchased the property with the intention of a complete renovation, including a revamp of the bathrooms and the creation of a new kitchen and family room within the existing footprint of the building. This area would make better use of the ground floor area of the property and be more in-keeping with today’s open-plan style of living. However, light, bright and airy spaces are also really important for modern lifestyles and despite large windows and a glazed door already existing in the kitchen, creating such a vast living space demanded additional lighting for the converted area. Mr. Newman turned to the National Domelight Company for advice, with potentially suitable rooflight products considered for their various benefits. Due to planning restrictions related to the height above the flat roof area of the proposed extension, a roof lantern or pyramid rooflight would not have been an appropriate choice. This was something NDC was able to advise on before planning permission was requested, saving the client both time and money. Not only was the height a consideration but the thermal properties of the rooflight were also very important to Mr. Newman. NDC was able to take this all into consideration and suggest a Solarglaze Eco fixed glass rooflight. The Solarglaze Eco fixed rooflight has a low profile to suit the project’s height requirements and is available in a variety of standard sizes and can be ordered in non-standard sizes, all offering a stylish finish. Mr. Newman opted for the standard triple glazed Low-E insulated glass plane with a thickness of 32.8mm, filled with Krypton for its thermal boosting properties. Offering a class-leading overall U value of 0.87 W/m2K, the Solarglaze Eco fixed rooflight is supplied with an insulated timber kerb to ensure accurate and consistent thermal properties. Double compression gaskets mean that it’s one of the most energy efficient units on the market while also offering excellent acoustic properties. It is also a strong product for when environmental aspects are a top priority. 1 x Solarglaze Eco flat fixed triple glazed rooflight, 150mm Rockwool insulated timber kerb, painted white on internal visible surfaces to suit a finished internal size of 1200mm x 800mm. Glass specification: 32.8mm three-layer extra Low E as standard. Outer glass 6mm clear toughened, 6mm Krypton TPS spacer, 4mm clear toughened premium, 8mm Krypton TPS spacer, inner glass 8.8mm clear laminated premium Low E.
We all know that being out in the sunshine boosts our mood, so have you considered how to let more sunlight into your extension so that you can get that feeling in your home? Allowing more natural light to enter can dramatically improve an extended living area, making it feel more spacious, inviting, light and airy, even on a grey day. Skylights and rooflights for extensions are a great way to create more light and maximise space without making major structural changes to your property, helping to improve the living area while adding value. And there are plenty of different styles and rooflight functions to ensure you find exactly the right product to suit your project: Scott Couldrey, MD from rooflight specialist the National Domelight Company, talks us through the options. It can be a little intimidating to see the variety of rooflight styles on the market, but first it starts with a choice between a glass or polycarbonate rooflight. If the rooflight can be seen from the outside of the property, or if you’re looking to use it as a centre-piece inside the extension, then a glass rooflight is the best solution. 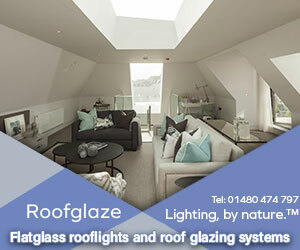 The ‘ultimate’ in glass rooflight structures is the roof lantern or pyramid rooflight. They let huge amounts of light into a property and their clean, minimalist yet stunning design creates a fantastic focal point in an extension. If you’d like to get extra light into a single storey extension where the roof also acts as the floor of a first-floor balcony or terrace, then flat walk-on glass rooflights provide the perfect robust option. Stylish in their simplicity, the roof decking or finish is built up so the glazing and roof finish are flush and glazing is available with anti-slip safety coatings. Things can get more complicated (and more costly!) when you start looking at the thermal performance of a glass rooflight. As well as the style and size, glass rooflights come with a range of glazing options that have a U-value rating, which indicates how much the glass reduces heat loss. For improved heat insulation, most units are double-glazed with the option of triple glazing. This glass can have air in the cavity between the glass panes, or argon, which acts as a more efficient thermal buffer and can save you money in the longterm by reducing energy bills. The alternative to glass is a polycarbonate rooflight. Hardwearing and durable, polycarbonate rooflights are very functional, thermally efficient and cost-effective. 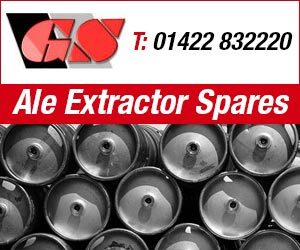 They are available in a wide range of shapes and sizes as well as different coatings and ventilation options. Although it might initially seem like there is too much choice in rooflights, at the National Domelight Company we have years of experience and have worked on thousands of extension projects, so we’re able to advise on the best and most cost effective solution for you. For those looking to get more natural light into a room or space with a flat roof, there are plenty of options. A rooflight (or flat roof skylight) is an effective solution that can allow up to three times more light to enter than a vertical window of equal size. With a huge range of different products available, Scott Couldrey, MD from rooflight specialist the National Domelight Company, discusses some of the options and considerations when selecting a rooflight. Flat roofs can easily accommodate a variety of different rooflight styles, so there’s quite a bit of flexibility depending on your requirements and taste. The first thing to consider is whether a glass or polycarbonate rooflight is best for your project. Glass is typically the desired option if you can see the rooflight from the outside of the property or want to add a feature to the room, whereas polycarbonate is best if a hardwearing solution is needed. Whichever option you select, a rooflight will have a major impact on the natural light levels within a room. Better light can make a property look more spacious while also improving the wellbeing of those using the space. Furthermore, with less need for artificial lighting, energy bills and a property’s carbon footprint can also be reduced. Roof lanterns and pyramid rooflights are the first choice for allowing as much light as possible to enter a room. Designed to have minimal yet functional supporting struts, they deliver both visual elegance and superior thermal performance that can create an impressive centre-piece in the room…letting the outside in! Flat glass rooflights also let in significant amounts of light and can be combined in panels to create larger expanses of glazing. If your flat roof is also used as a terrace or balcony area, then hard-wearing walk-on rooflights are the perfect choice. 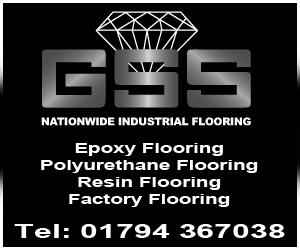 Anti-slip coatings ensure they are the best option for their multipurpose under-foot and over-head function. A polycarbonate rooflight is particularly suitable for a property that needs a hardwearing and durable solution. 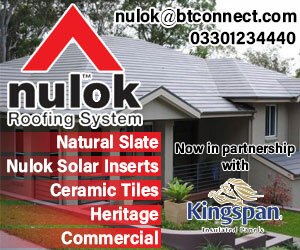 They come in a range of shapes and sizes such as domes and pyramids, with different glazing options – from single to quad skins – that determine the thermal properties of the roof dome. Once you’ve selected glass or polycarbonate, there are also functional options to consider. There are different ventilation options, rotary or hinged, which can be manual or electric depending on how easy it is to access your rooflight. Should your rooflight need to be used as a way to access your flat roof, an access hatch can be fitted, or perhaps a smoke vent that can help reduce smoke build-up in the event of a fire.